with the soft pads of my fingertips. roughened by the day’s relentless growth. rising and falling over the heart. I touched only a moment ago. It has already begun to fade. And I had wanted to hold it forever. Is he trying to memorize me also? Even knowing it is the last moment. dragging us into the perpetual present. by new desires and disappointments. And I will forget I knew even this. 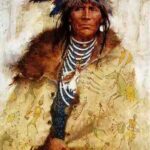 Copyright © 1995 Oriah Mountain Dreamer • All rights reserved. Selection from DREAMS OF DESIRE (Mountain Dreaming, 1995, out of print). 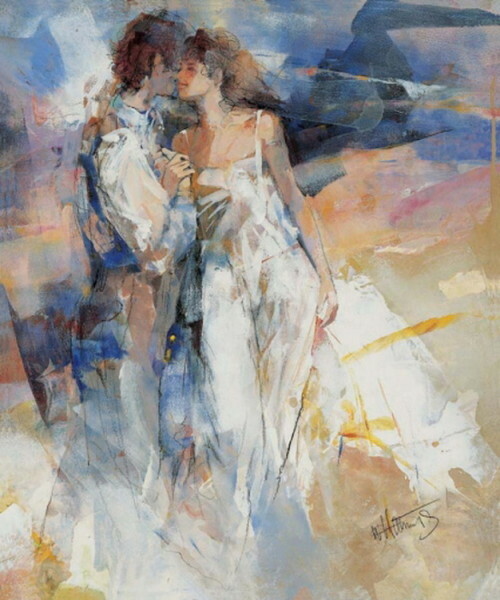 Painting: “My Love II” by Willem Haenraets, original artwork.